The Watering Hole card generally meets every first and third Monday of the month. Occasionally there will be an extra workshop added or we may miss one because of a Bank Holiday. We meet at Calmore Community Centre from 1.30-4.30pm. 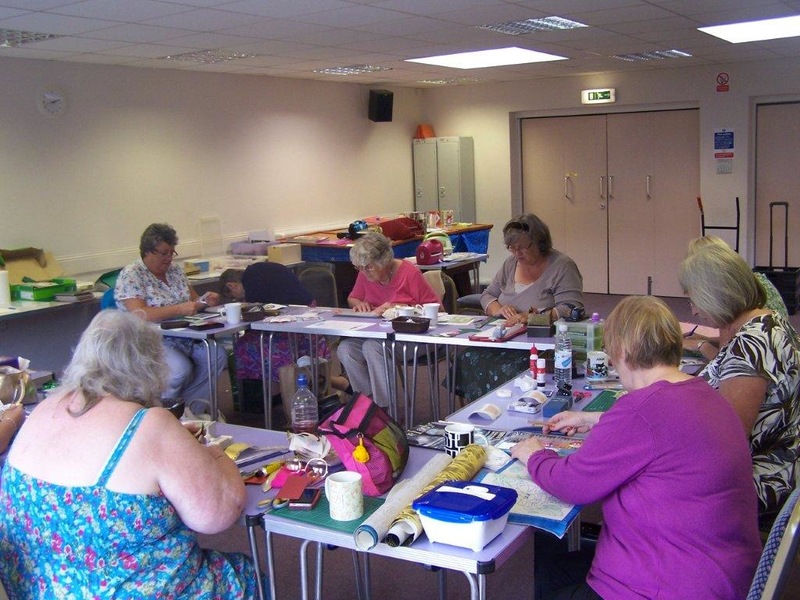 At the club, we offer you the chance to try a variety of card making techniques and hang out with people who enjoy the same hobby. Most weeks we manage to make at least two cards and make time for coffee and a chat. We are a friendly, relaxed group. Even if you have never made a card before, or you consider yourself an expert, there will be something there for you to enjoy. Occasionally we produce handouts that show a particular technique we have tried. This means you can try the idea at home. Two times a year a diary of classes is prepared, with those attending contributing ideas of techniques they would like to try. Most of the equipment and materials needed during these sessions will be provided. However, if you have crafting scissors, pencil, ruler and a craft knife that you can bring along it will make it easier for you to complete the projects. These workshops are run by volunteers and while every effort will be made to provide the advertised classes there may be last-minute changes without notification.